A majority of the builds that I have at this point are SFF Small Form Factor builds but typically going SFF requires compromises. If you want something extremely fast, you are going to deal with heat. The other option is to go with one of the community made cases which are more compact and have better cooling without having to go with an ITX length video card. But they are expensive. 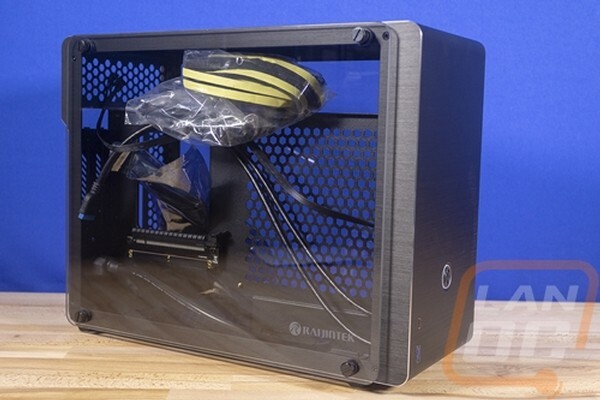 So I was excited to see that Raijintek had a new design with a Dan Case like design with a full-length GPU on one side and the motherboard on the other. Their Ophion is also much cheaper as well and available in two size options. I was most excited for the Ophion Evo which is a little taller and adds support for a 240mm radiator. I've been using the Ophion Evo for a while now, you might have even seen it in our Asus Ryuo review, and today I am finally going to give the rundown on my experience with the case.